There are so many couples who wanted to get a baby. However, sometimes the reality is not as smooth as what was envisioned. It might have been doing a lot of ways to get pregnant quickly, but never succeeded. 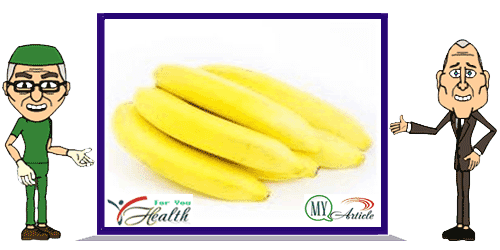 This fruit is very good for fertility because it is rich in vitamin B6. This vitamin is one of the most important vitamins in helping fertilization effects on hormonal stimulation. Instead vitamin B6 deficiency can cause irregular periods and can also cause the egg in women and sperm in men less well developed. Asparagus included in this list because it is rich in folic acid which is good for fertility. Beberpa studies have found that folic acid can help reduce the risk of ovulation failure. Women are also strongly advised to take supplements of folic acid when planning pregnancy. Folic acid is also often prescribed enumerated by the doctor before the pregnancy during pregnancy and after childbirth. Know the source of folic acid other. A study done by giving infertile men as much as 1,000 mg of vitamin C twice a day, showed that sperm count and motility (ability to move properly towards an egg) to be increased. Vitamin C also helps improve hormone balance in women. One source of vitamin C which is quite popular is orange, but there are other foods that contain vitamin C higher, more information here: Source of Vitamin C Top. Shellfish are rich in vitamin B12 which is also good for fertility. This is consistent with studies that have suggested a link between B12 deficiency and levels of estrogen that can disrupt abnormal implantation of the fertilized egg. Vitamin B12 can also help strengthen the lining of the endometrium (uterus) in egg fertilization and reduce the risk of miscarriage. A research by measuring levels of vitamin D of 67 women infertile (infertile) and found that only 7% of those with normal vitamin D levels. The study also found that none of PCOS patients had normal vitamin D levels. That is why vitamin D that one source is very important for the egg or male fertility. Due to the high content of vitamin E, almonds are also eligible for consideration as a meal to accelerate pregnancy. This is evidenced by studies showing that vitamin E can improve the health of sperm in men. Vitamin E deficiency has also been associated with infertility in female mice. If you are not sure that the experiment with mice certainly does not yet proven in humans, still remember that the vitamin is an antioxidant that is good for health and can help protect sperm and egg DNA. Zinc supplementation in infertile men has been shown to increase sperm count, improve the form, function and quality of male sperm. For women, the lack of zinc can cause an imbalance of estrogen and progesterone. Turns zinc is also contained in peas, so the vegetables has become one of the choices of food for fertility. In this case we see the benefits of selenium in salmon. This mineral produces antioxidants which protect the eggs and sperm from free radicals. Thus can help prevent damage chromosomes, which are known to cause birth defects and miscarriages. Research also suggests that selenium may also make sperm more fertile. Mackerel is a good food for fertility because it contains essential fatty acids that are essential for a strong reproductive system in women. DHA, a fatty acid found in fish oil have a significant impact on the health of sperm. Fatty acid deficiency causes increased cholesterol in the membrane that prevents sperm maturation of sperm. Food list above only as an example, but look at the content of vitamin or mineral what good role models for fertility and studied sources other foods that also contain it, so we still get the nutrients needed by the various types of food we consume. Hope it useful.